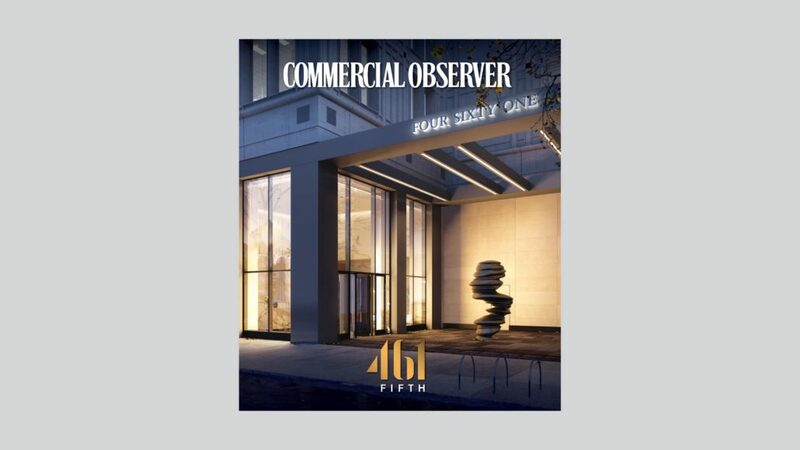 This prime Fifth Avenue office building, overlooking Bryant Park was to undergo a major capital improvement program in 2017 / 2018. 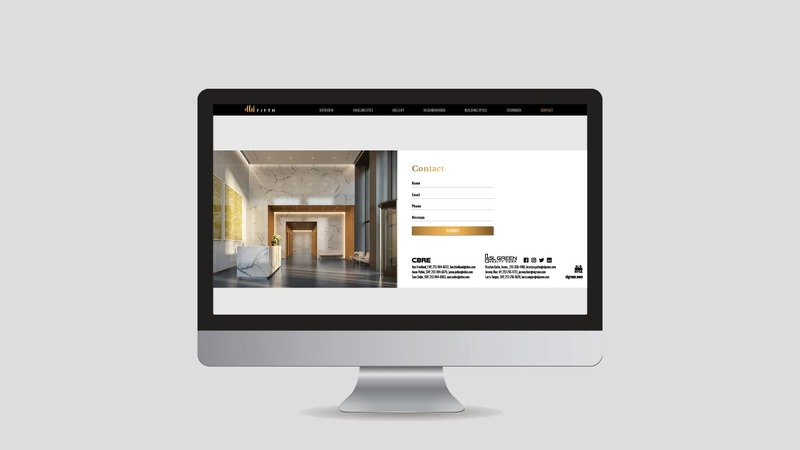 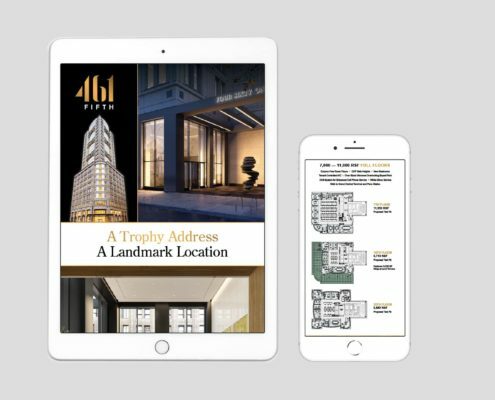 The marketing goal was to re-introduce the property to a new generation of boutique office space users. 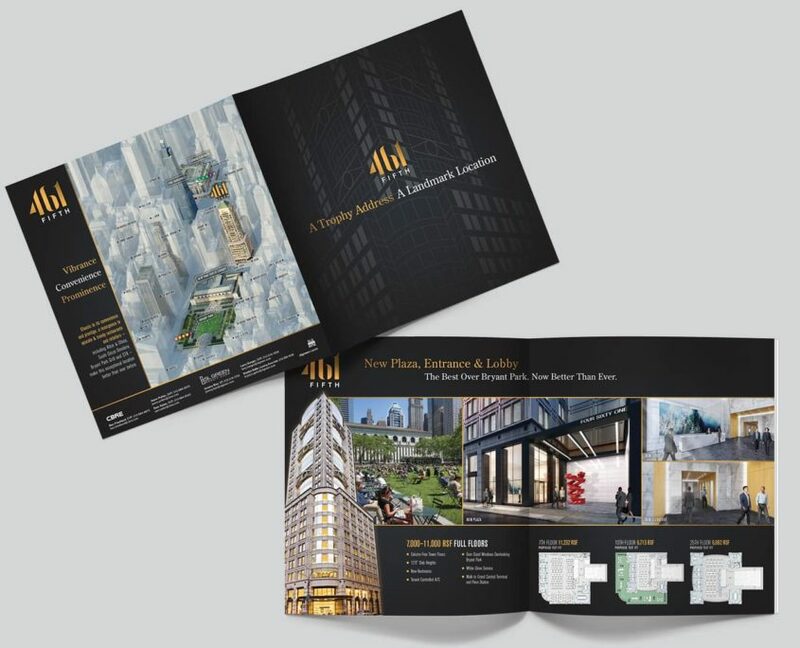 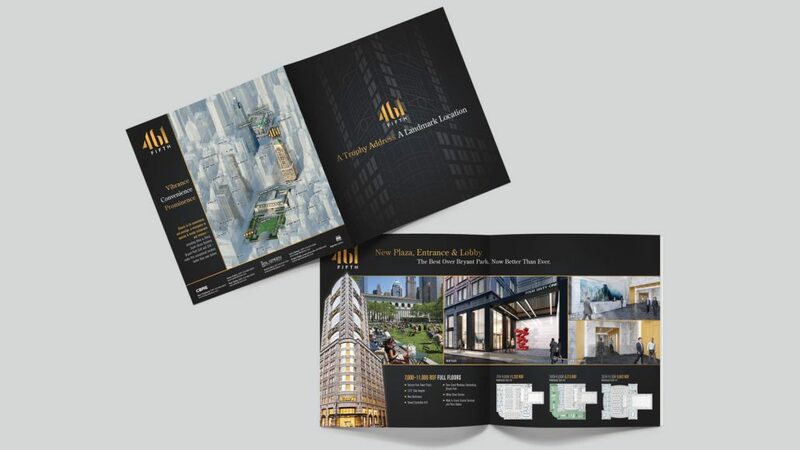 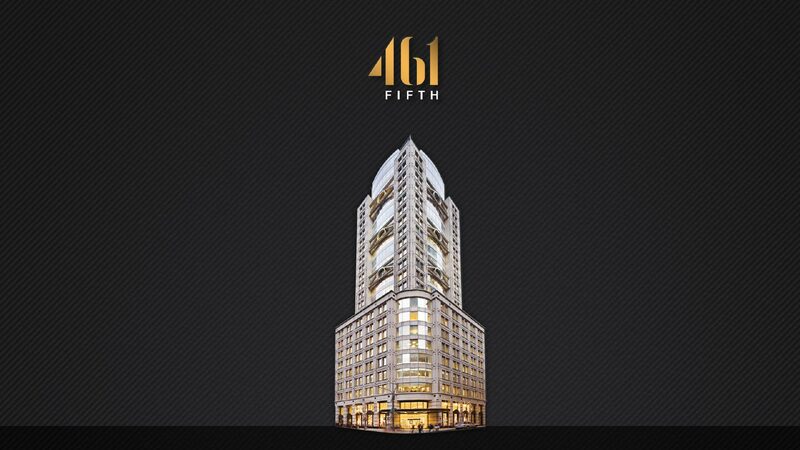 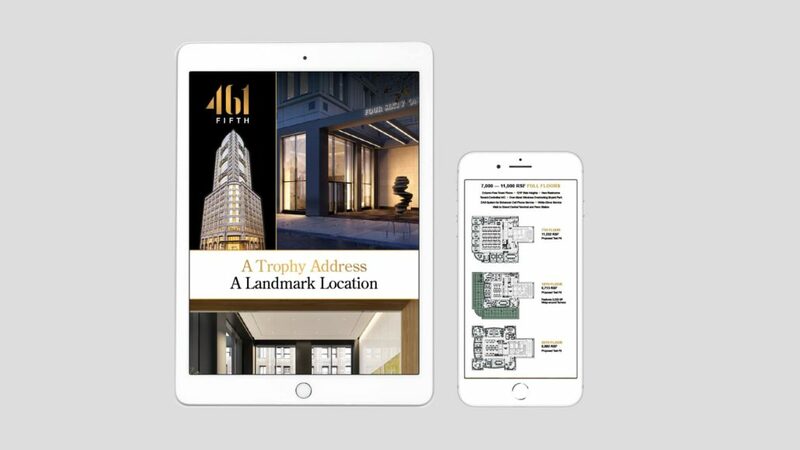 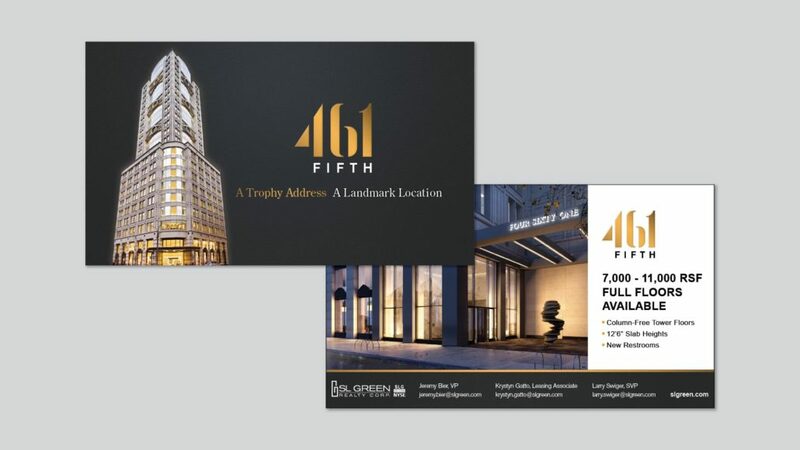 Branding 461 Fifth Avenue as a Trophy Address at a Landmark Location makes solid reference to the traditional strengths of the building. 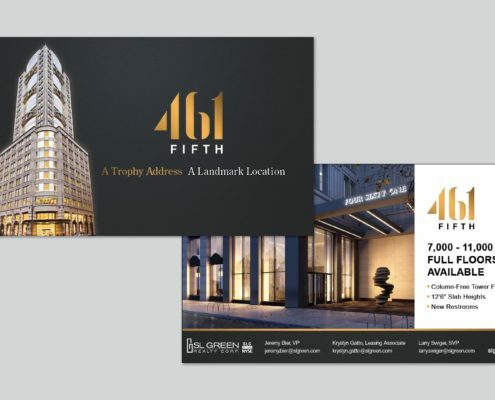 Starting on-site with big, bold construction shed displays installed directly on the Avenue and floor-to-ceiling interior displays that worked double-duty to hide phased lobby re-construction, the streetscape and building itself were transformed into virtual billboards for a new marketing message. 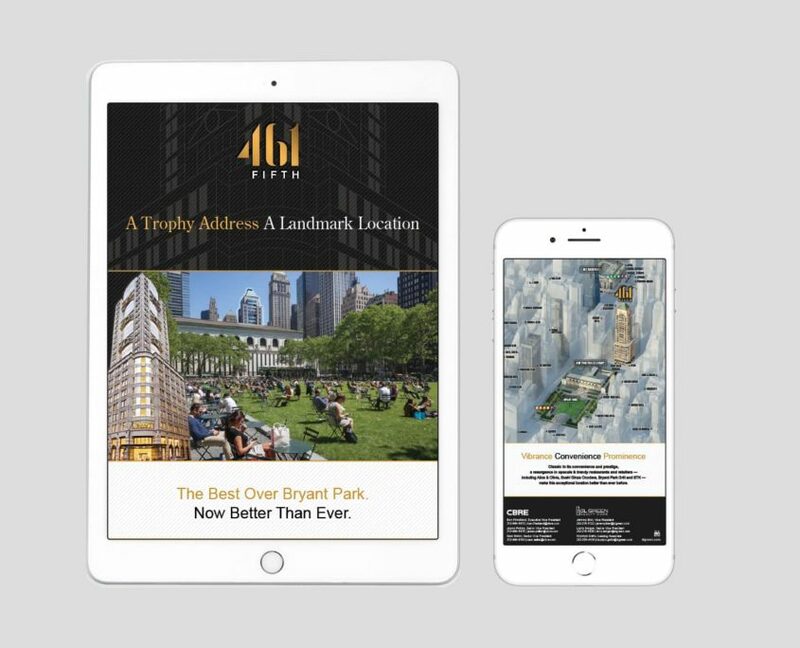 Every marketing initiative also leveraged the traditional appeal of a Bryant Park location while extolling the virtues of the area’s newcomers, from trendy juice bars and sandwich shops to the latest fitness locations.